It goes without saying that space has always been central to Techno – both in terms of its cosmic and futuristic trajectory, as well as in the spatial dimensions of sonic elements. 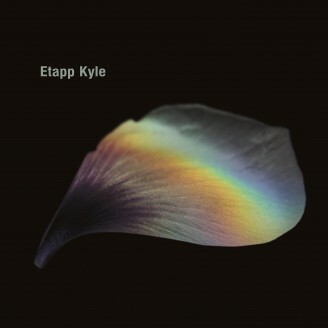 Etapp Kyle’s first full Ostgut Ton EP release sees the Ukrainian-born, Berlin- based Berghain resident emphasizing the connection between the two, while avoiding Techno’s overt intergalactic clichés. By partially linking to his Continuum EP (Unterton, 2016), the results are four tracks of pristine, sci-fi minimalism, propelled by Ambient synths and percussive explosions in distant skies – more utopian than dystopian. Opener “Alpha” establishes the cosmic theme from the get go, with chord swells and a whirring, phasing spacewind panning across the stereo image. While a subdued kickdrum gets things started, it’s the rhythmic interplay between dynamic high-hats and halled-out rimshots that guide the track through space. From there, “Quantum” on A2 strips the voyage down to a glowing, unwavering arpeggiated synth line, interspersed with twisted, high-pitched bells and updated 909- esque snare patters. Etapp Kyle’s deep, bleepy minimalism continues with “Source” on the flipside, where morphing hats and an atmospheric two chord progression lay the foundation for an interlocking array of rhythms. On closer “Ritual”, things take a different turn entirely, as a dirge-like drone resounds across a colossal sonic expanse. Eventually, ASMR-inducing vinyl crackle and miniscule syncopated rhythms fill in the galactic details. A booming, tribal timpani completes the kick-drums in each measure, while shakers hold a groove. As a producer, Etapp Kyle manages to create atmosphere through an ear for detail and extreme precision. Here, his mix of minute, hallucinatory rhythmic elements and sonic spatial exploration project the tracks beyond the big room to Techno’s biggest room: the universe.